I have a small confession. In high school, I was semi-obsessed with whitening my teeth. When extreme whitening toothpastes began popping up, I stepped away from teeth whitening systems; however, I am still a fan of quick systems that produce whiter teeth. 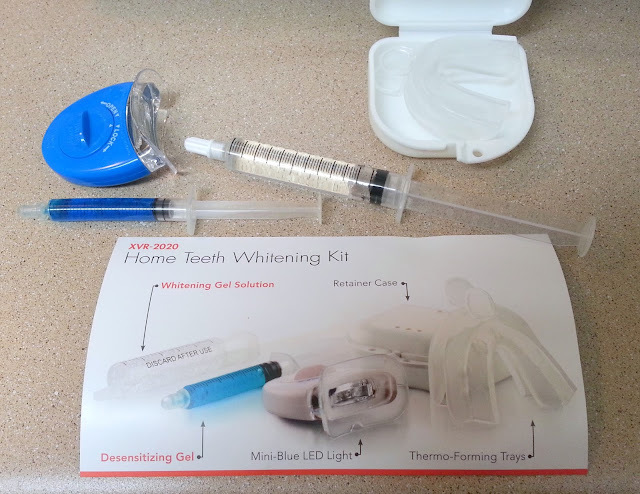 With this in mind, I'm excited to share my review of the DazzlePro Whitening Pro-System, which is an at home system that is supposed to produce professional whitening results. Premium Home Whitening's kits blanch chompers up to five shades with FDA-compliant gels. To begin, users press mold-and-bite trays against the upper and lower mouth ridges, creating a custom mold for enamel outlines. After a conservative squirting of US-made carbamide peroxide gel, users insert their impressions into the mouth while clutching the micro LED light between their lips. Treatments should be self-administered for 30–60 minutes once or twice per day for a total of seven to nine sessions, which provides ample time to watch TV, read books, or challenge cats to competitive staring contests. Overall, I am impressed with this system. It produced quick results in only 30 minutes. 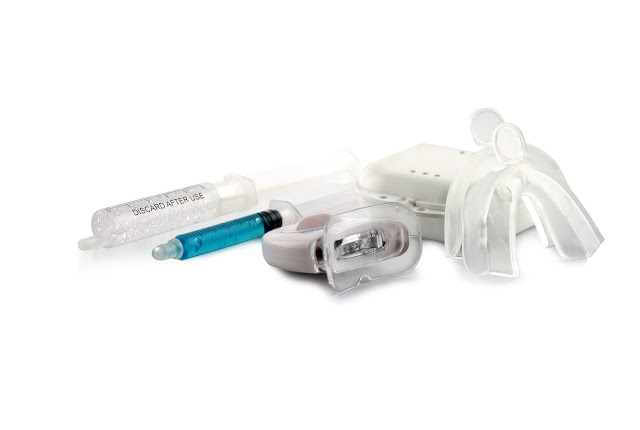 Plus, in comparison to one time use products, it's a great value since it can be used multiple times. I experienced two difficulties with the system. The first issue I ran across was it was difficult to mold the trays to my teeth. This could possibly be because I have an overbite and the tray wasn't able to reach certain teeth. 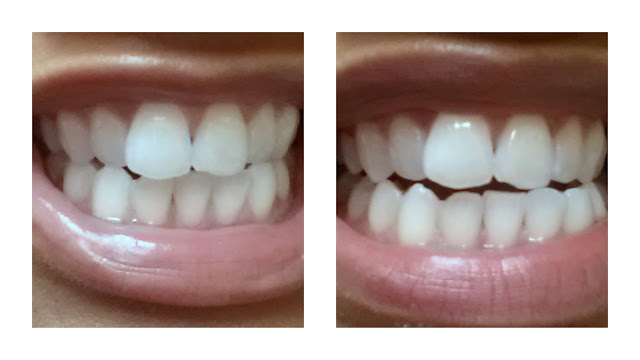 Also, during the whitening session, the mini LED light would not stay on so I ended up only using it for roughly 10 out of the 30 minutes in the whitening session. However, I still results without the mini LED light. If you someone who has not whitened their teeth in quite some time, I do think this would be a great system because of the results and quantity. However, I do want to add that if you have an overbite or crooked teeth, it may be difficult to mold the trays to your teeth, but your experience may be different than mine. 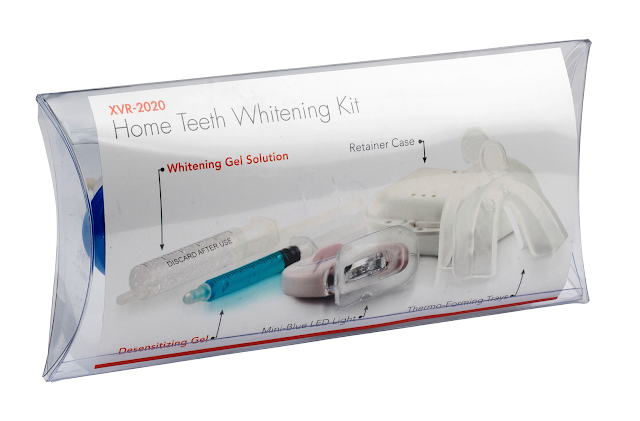 Would you give this whitening system a try? This system sounds great and nice results. Thanks Britton! If you decide to give it a try, please let me know. I think the discount makes it very affordable.